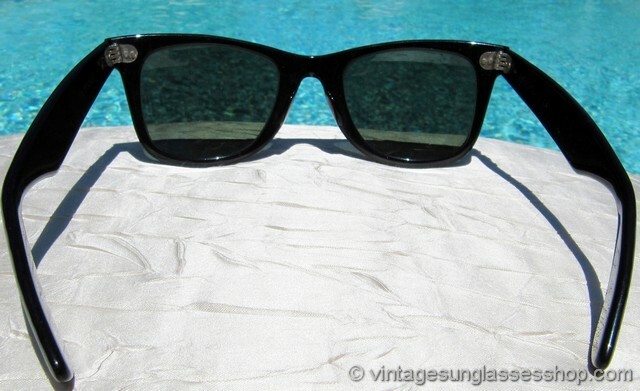 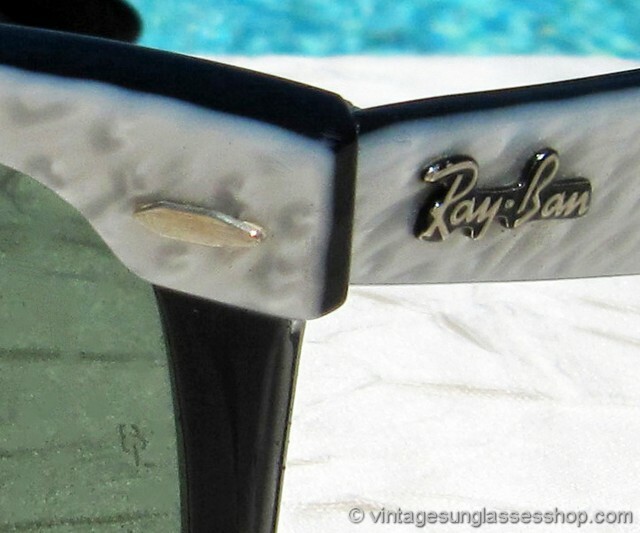 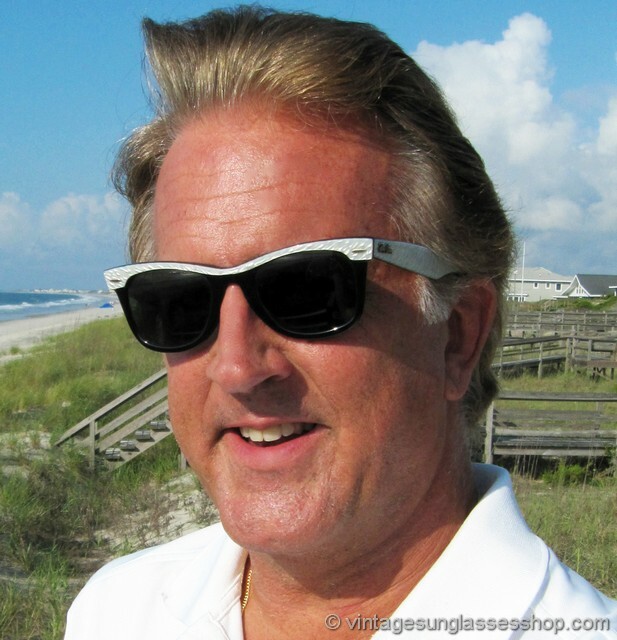 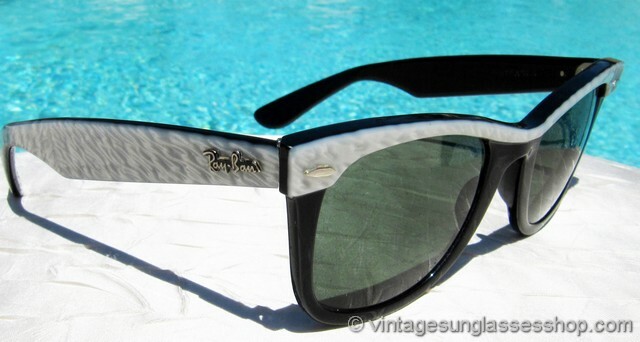 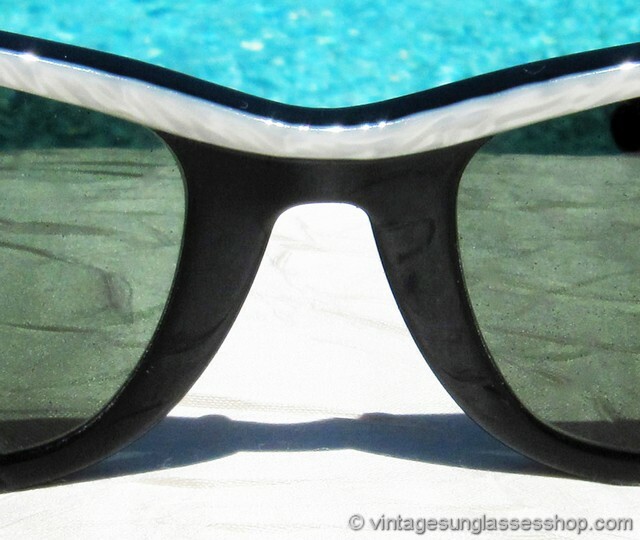 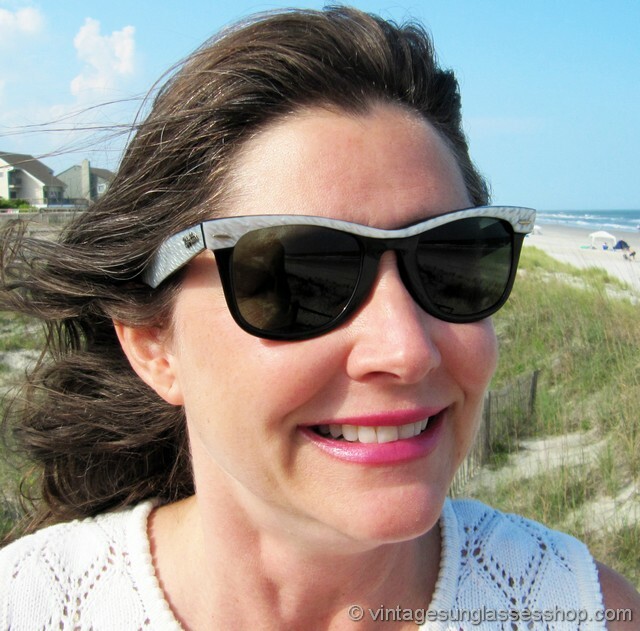 For a break from the basic black or tortoise shell Wayfarer, these vintage Ray-Ban Wayfarer Street Neat sunglasses feature the hard to find white geometric top accent and matching ear stems of the iconic Wayfarer Street Neat line c early to mid 1990s. 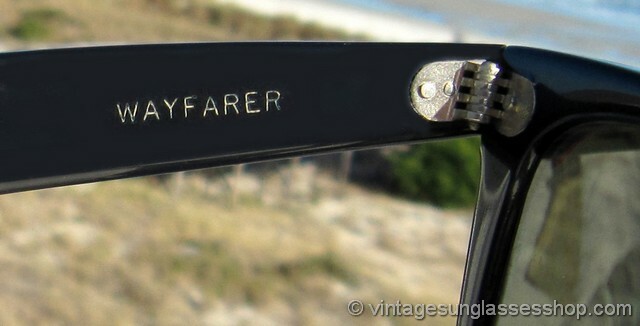 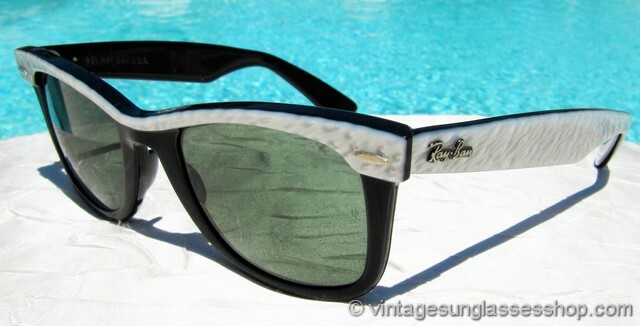 They've got the classic B&L Ray-Ban Wayfarer shape, but the black ebony and white color contrast makes for a pretty stunning color combination and original Bausch & Lomb quality - not cheap Wayfarer counterfeits and modern reproductions made in Italy by Luxottica. 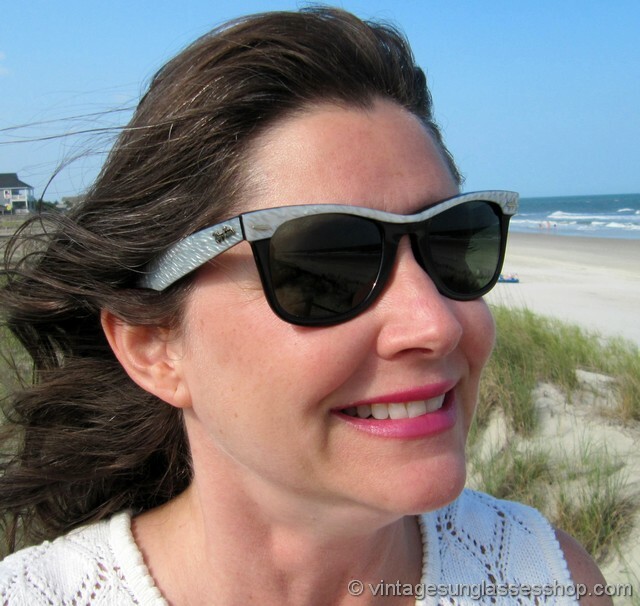 The unisex Ray-Ban Wayfarer Street Neat frame measures approximately 5.5" temple to temple, and the Bausch & Lomb G-15 mineral glass lenses measure approximately 1.875" x 1.5" at the widest points with both laser etched BL near the hinges. 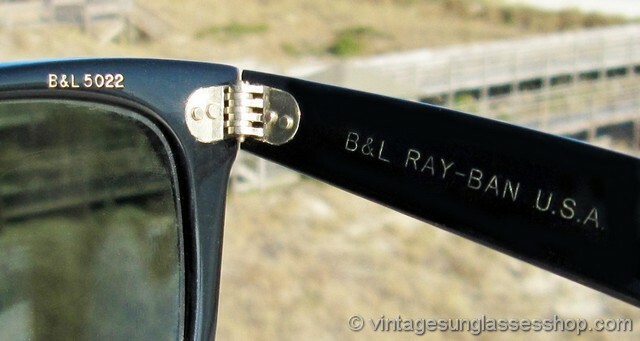 You'll find the Ray-Ban logo in raised metal relief on the exterior of both ear stems, and the inside of one ear stem is impressed Wayfarer, the inside of the other stem is impressed B&L Ray-Ban USA, and rear of right lens impressed B&L 5022.